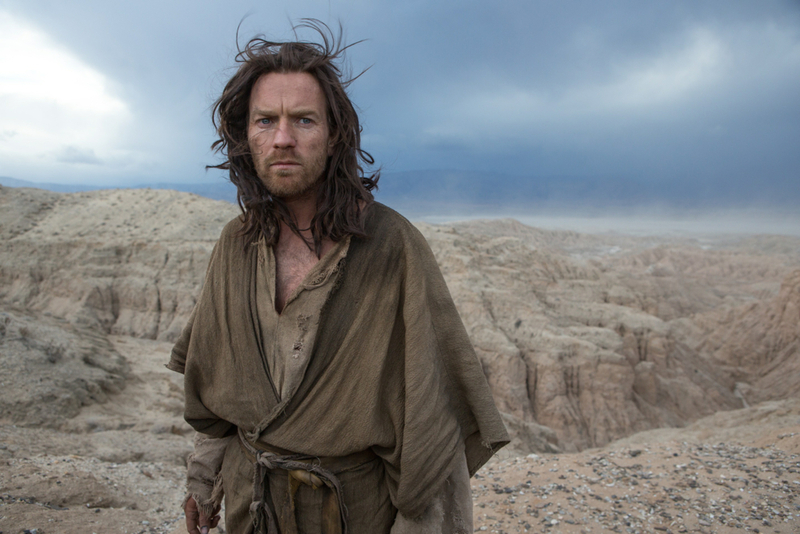 Perhaps just reading the title of this article will intrigue you, as it did when I found out that Ewan McGregor was to play both Jesus and the Devil in a film shot by Emmanuel Lubezki (Children of Men, The Tree of Life), one of the best cinematographers out there right now. The film opens with a quote regarding Jesus Christ seeking solace in the desert for purposes of meditation and prayer, yet the rest of the film is purely based off-scripture. The first ten minutes open with a wandering Jesus as he travels the vast desert, cloaked in dirty rags and a sun-kissed face. His first encounter with the “darkness” happens when he finds a darkly-clothed toothless woman begging him for water. What transpires following Jesus Christ replenishing this elderly woman is a terrifying laugh mocking the man who just committed a good deed. That’s just the first of mocking interactions he will face. He continues his journey, continuing to ask his Father where he is, what he wants, what is yet to come. A most intriguing aspect is that Yeshua, as the Christ figure is referred to in the film, yearns for his father, but the father figure isn’t clarified. Who is his father? This is not to exclude the possibilities but to rather enable them and the imaginative perspectives viewers may additionally contribute to the narrative. Needless to say, Yeshua isn’t presented as a stale cardboard Americanized idea of Jesus Christ as he pleads with Father, for guidance, for answers, for validation. This becomes the framework of Last Days, the relationship between father and son, and what it means to become a man, as well as conquering personal demons. When he ventures further, Yeshua, as Jesus is referred to in the film, accompanies an older man, “the Father” (Ciaran Hinds), to his home base, an isolated, sparse landscape where only a tent remains that his family resides in. The father has a dying wife, the “Mother” (Ayelet Zurer) and a “Son” (Tree of Life’s Tye Sheridan, this year’s Sundance darling). Yeshua greets the family with limited dialogue, an open heart filled with understanding and patience, and becomes rather closely involved with the often frustrated nature of the son and his dreams beyond where he lives. He tells Yeshua that his dream is to venture to Jerusalem to which Yeshua replies, “Jerusalem is alive.” Based upon his father’s demands and helpless mother, whose fragile body is weakened and days are spent peaking into the light through the slim crevices of her sleeping confines, the Son makes it clear that he wants to “make a mark on the world.” This secluded boy wants to travel the world and escape his family, contradictory to what Yeshua’s mission is. Yeshua’s perspective and silence is something Garcia exemplifies throughout the film as the story unfolds and stakes are raised among the family. The parallels between both characters carry a weight that’s crucial to understanding what this film is really about. Through the many tests placed upon Yeshua as he’s confronted by the “Demon,” or the Devil, whichever you may prefer, is a test upon humanity and endurance. 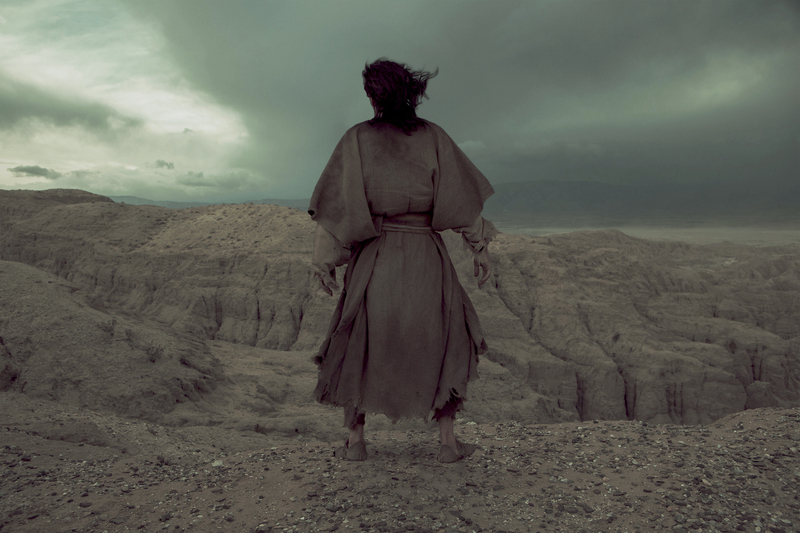 Director Rodrigo Garcia’s humanization of Yeshua during these crucial moments of the film may strike some serious reactions among the Christian masses, recalling Martin Scorsese’s controversial The Last Temptation of Christ. Just to be clear- this isn’t a film that relies on biblical scriptures as much as it relies upon the vastly emotional state of the human condition, the relationship between father and son. Ewan McGregor’s performance as both sides of the spectrum is riveting, challenging, and often very humorous, especially when Yeshua laughs at the Son farting upon finding a dead dog on their journey, making light of grim realities we all learn. These are ultimately the finest moments of the film, purposely articulated and speaking to the greater masses regarding a void young men face against the pains of growing up and what’s been promised for them. McGregor’s depiction as Lucifer adds heat to the story’s conflict, exemplifying the theme of fate and faith. Yeshua curiously inquires about what will happen to the Son when Lucifer taunts him. This Christ figure is a curious man, a man whose worries, concerns, and imbedded responsibilities actually make him a three-dimensional character. Last, but not least, let’s talk about Emmanuel Lubezki. The swooning cinema Lubezki has beautifully captured here continues to serve his already prolific career. What Last Days in the Desert reminds us, if anything, is that the medium of film isn’t just written story, but visual storytelling, and less is certainly more. With that said, the film’s greatest strengths are its heartfelt direction, stellar performance, especially Tye Sheridan as the “Son,” and Emmanuel Lubezki’s painterly eye accompanied by Danny Bensi and Saunder Jurriaans’ breathtaking score. Last Days in the Desert is uniquely crafted, and strays away from religious territory that could’ve otherwise demolished the effectiveness of something so human and relatable. BEING JADE BRYAN "THE SHATTERED MIND"